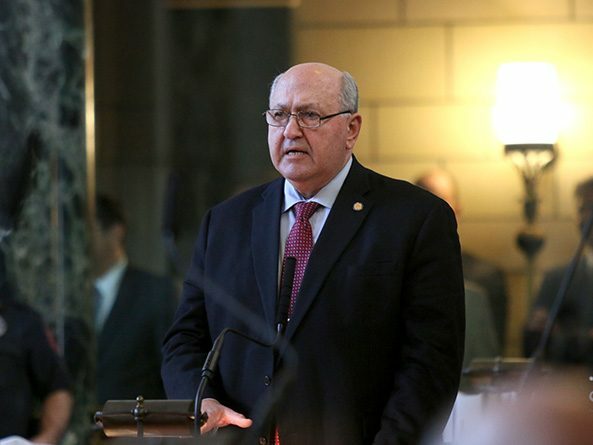 Omaha Sen. Rick Kolowski said he introduced LB619 because there is confusion in current law about whether insurance companies will reimburse a provider who meets with a client at a school. Behavioral health providers sometimes offer services at a school when transportation is difficult or impossible for a student, he said. “Some insurance companies pay for it and some do not,” Kolowski said. He said the bill would not expand coverage nor add any health care mandates. A Banking, Commerce and Insurance Committee amendment, approved 28-0, clarified that the bill does not require an insurer to cover services otherwise excluded from a policy. The amendment also would delay the bill’s implementation to June 1, 2020. Gothenburg Sen. Matt Williams, chairperson of the committee, said the amendment would eliminate any potential state expense. 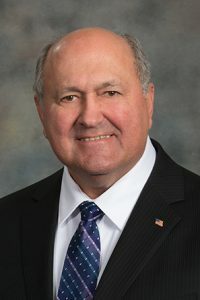 North Platte Sen. Mike Groene expressed concern that the bill would allow a school-employed counselor to bill an insurer for services he or she administered. “School dollars are for education, not for health care,” Groene said. Seward Sen. Mark Kolterman said the bill would aid students without affecting insurance companies. “This doesn’t change anything other than make it easier for kids that need the help,” Kolterman said. Senators advanced LB619 to select file on a 29-0 vote.